Discussion in 'General Discussion' started by matt3310, Feb 12, 2019. 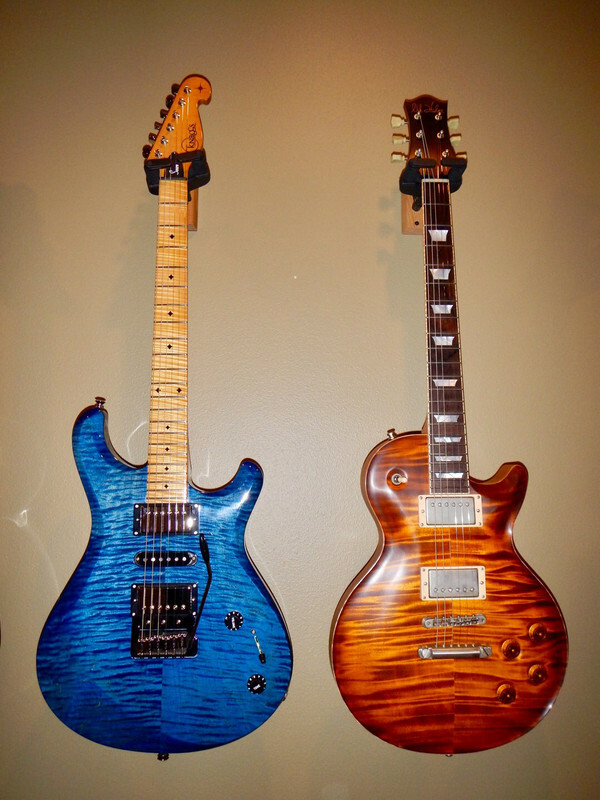 Here's a little video walk through of some of my PRS guitars. Video was done by Wingers Donnie Smith. [email protected], Eurometal, Outlier22 and 10 others like this. That’s so cool. Nice to see Donnie rocking some PRS! Nice video! Man, you certainly hang out with some cool folks! What’s all the complaining about the rain? Good Seattle weather there, at least it was before all this dang snow! Yeah, I’m partial to blue guitars as well. Even had a Class 5 LP in blue for about 10 years. Too heavy and ultimately preferred my McCarty (now with my brother). LSchefman and matt3310 like this. Hey, Matt, that was a terrific video! I really dug it. Great collection, that LP at the end was sick. What amp were you playing that through? Sounded amazing. Loved it. I always associate them with a really high gain saturated sound but that was really chewy and thick. Great tone. Dude, that was cool AF!!!! We vacationed in Memphis in October of 2017. Had a great time. Oh.... I get it, you’re a perfectly sane business man! That’s why you have so many guitars, you’re not batsh!t crazy like most of us. WA Paul, Alnus Rubra, veinbuster and 2 others like this. I could never figure out what all the marshalls were for when you had posted pictures before, I had you down as a happy lottery winner. My jealousy game is strong right now!! yeah that was cool AF! That is some crazy nice collection of guitars. Anyway, thanks for sharing that video. That really is impressive. That is one fine collection! Thanks for sharing!